Join award-winning stand-up comedian Tiernan Douieb for an unforgettable 45 minutes of stand-up comedy. Tiernan will headline a short show featuring a number of brave young comedians who will have been workshopping their stand-up comedy skills during the day with the amazing Comedy Club 4 Kids. See them first right here at The Festival on The Close. 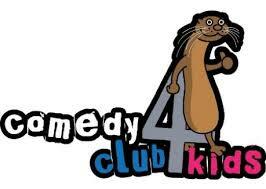 We are, as our name very strongly suggests, a Comedy Club 4 Kids. We run shows, for those who want to see comedy, and workshops, for those kids who want to try it themselves. We have been doing it for ten years. We&apos;re really rather good at it. Tiernan’s done the comedy thing for ages and ages now. Since his early days treading the boards, his comedy has taken on a more satirical edge opting to complain about worldly political happenings in the friendliest and funniest manner possible. This is balanced by his stand-up for children and families which is mostly about bogies and superheroes. Tiernan regularly performs all over the world even though he really likes being at home. He is constantly on Twitter, co-runs the successful Comedy Club 4 Kids and has performed and written several solo shows which have all done alright really.